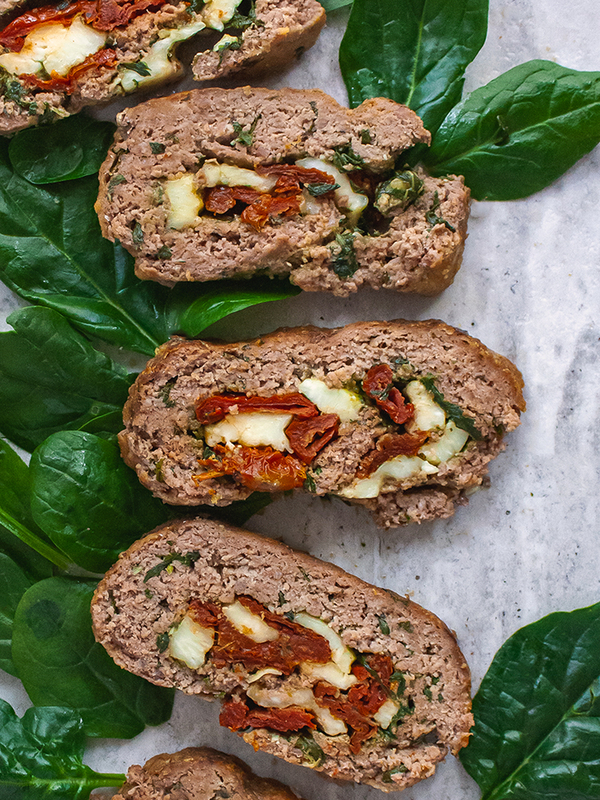 This delicious meatloaf roll is stuffed with creamy basil pesto, juicy sun-dried tomatoes, and halloumi slices. You can prepare this delicious recipe for parties and festivity dinners or just for a Sunday lunch . The meatloaf is a traditional Italian dish and consists of mincemeat mixed with herbs and spices, which is then flattened over a surface sprinkled with cheese or breadcrumbs and finally rolled. 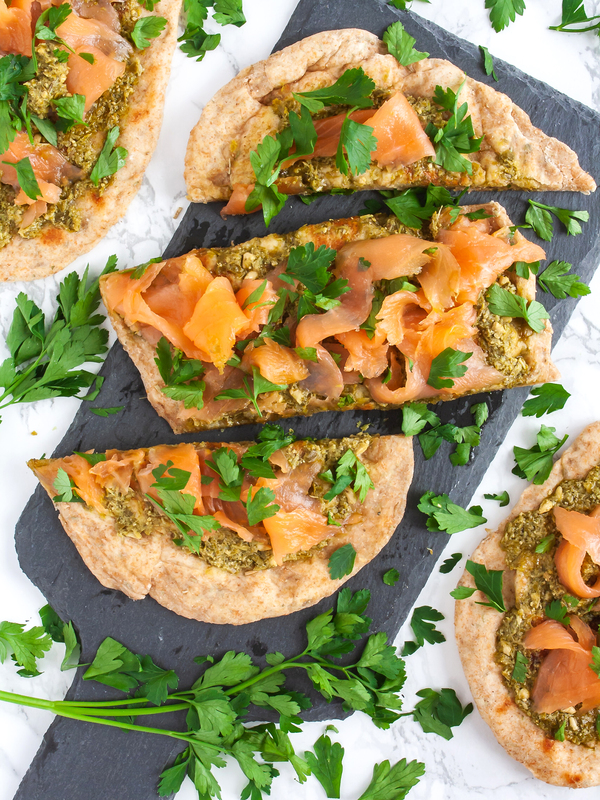 There are so many variations of this recipe and you can have fun experimenting with your favorite ingredients for tasty fillings. The secret to a perfect meatloaf is to ensure that the meat is not dry and chewy. The fat content is an essential factor that contributes to moistness. 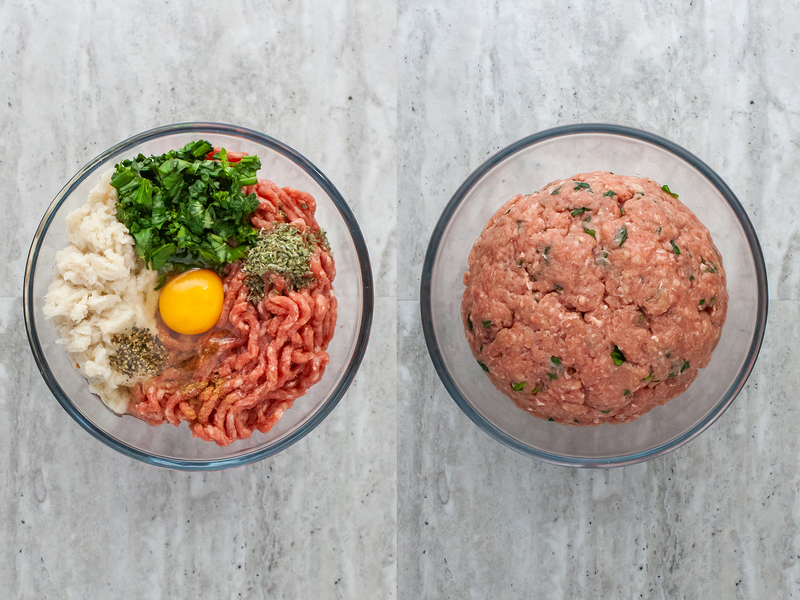 Choose beef mince with good fat content or if you are using low-fat beef or white meat add more liquids, like eggs or water-soaked crustless bread bits. 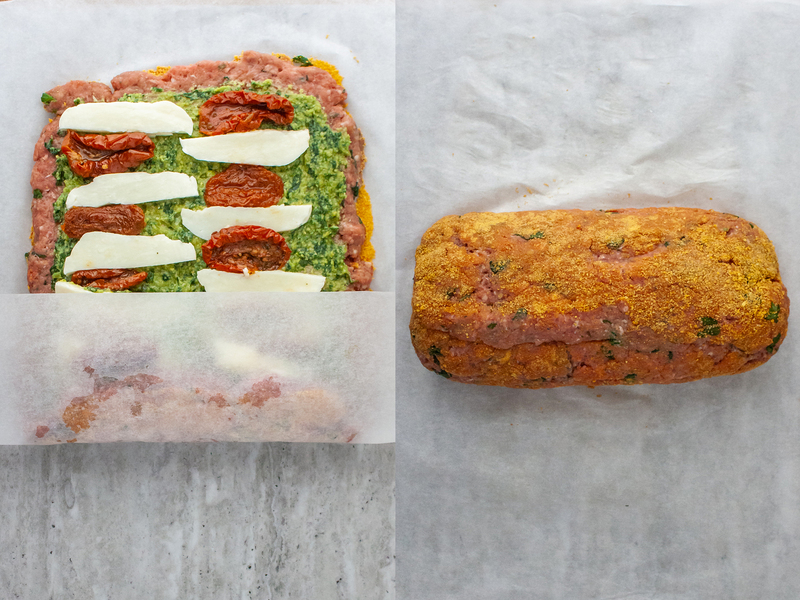 Another trick for a juicy rolled meatloaf is to use soft vegetables like spinach. Finally, make sure the oven is not too hot or it will dry out the meat as it cooks. We recommend a temperature not higher than 180°C (350°F) for static ovens. To prepare this stuffed meatloaf, soak bits of crustless bread in a small bowl with water until they become soft and wet. Next, transfer the bread to a large mixing bowl and add beef mince and egg. Then, season with salt and pepper. Add the finely chopped spices, namely oregano, fresh basil, and parsley. Combine well the ingredients first using a spoon and then with the help of your hands. Remember to avoid over mixing or you’ll end up with a dry and dense meatloaf. Pre-heat the oven to 180°C (350° F) for a static or 160°C (320°F) for a fan oven. 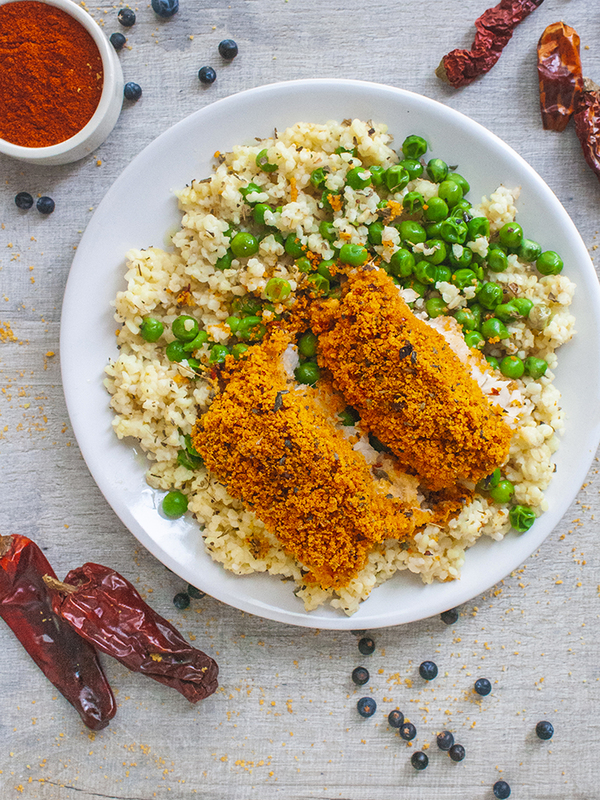 Line a sheet of parchment paper over your kitchen counter or workspace and sprinkle with breadcrumbs. 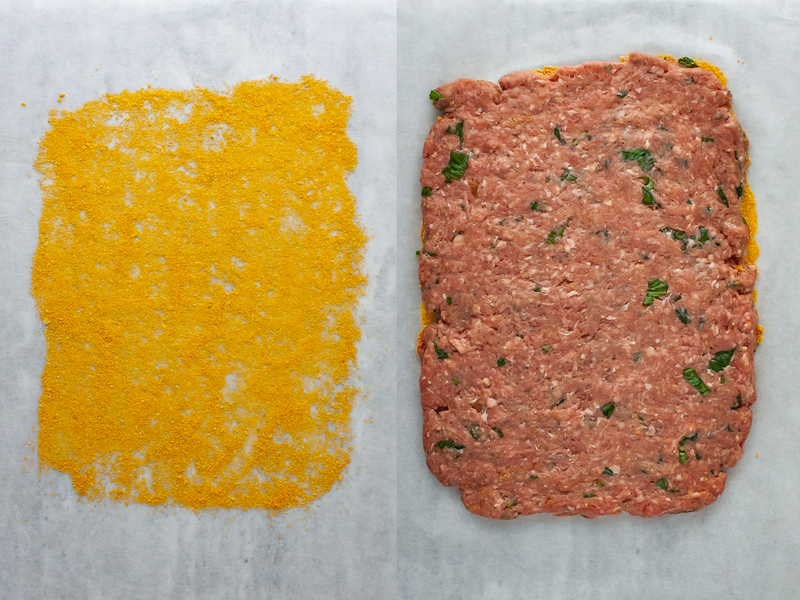 Spread the mince and herbs mix over the breadcrumbs into a rectangular shape. Pat and press it down to get a compact and firm base for the filling. Spoon the basil pesto over the mince and spread it with the help of a spatula. You can use a store-bought pesto, but if you prepare your own handmade pesto you&apos;ll get even better results. Next, alternate slices of halloumi and sun-dried tomatoes over the pesto. 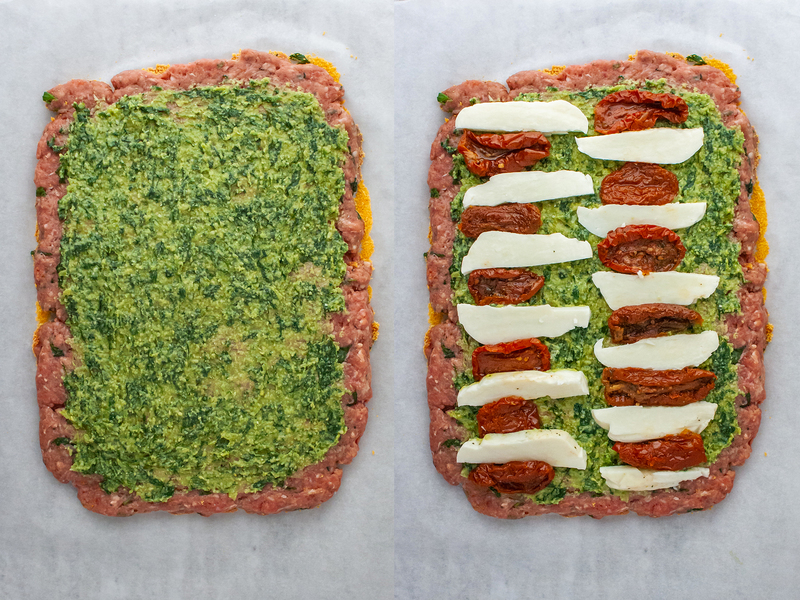 Cover the surface but leave enough space on the edges to seal the meatloaf later on. To fold the meatloaf, start at the short end and roll up tightly over the filling. 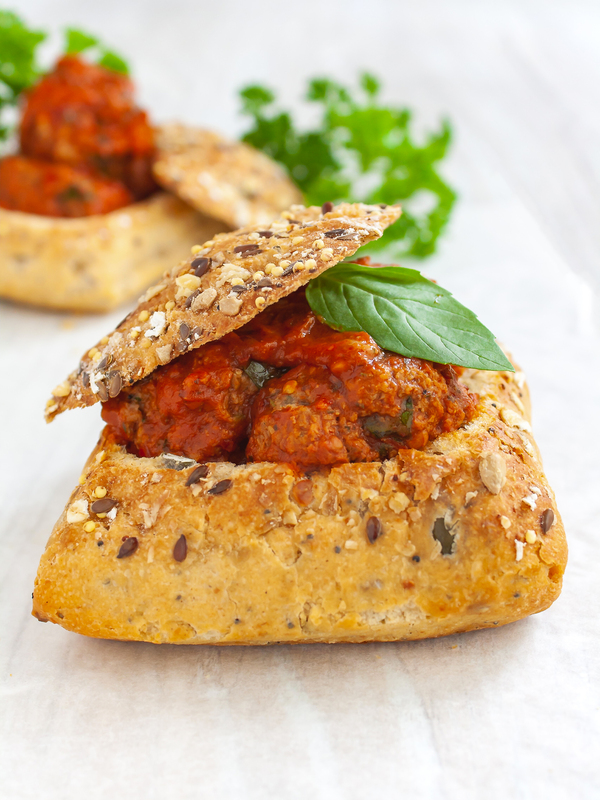 Use the baking paper to help you evenly pull the meat tight as you roll, tucking in the filling ingredients and sealing the ends. Now check that there are no cracks in the meat which will let the stuffing pour out during cooking. If you see any, just patch them using excess surrounding meat with wet hands. At this point, brush the meatloaf with extra virgin olive oil. Place the meatloaf in the baking tray with the seam side down or it will open up during cooking releasing all its delicious filling. 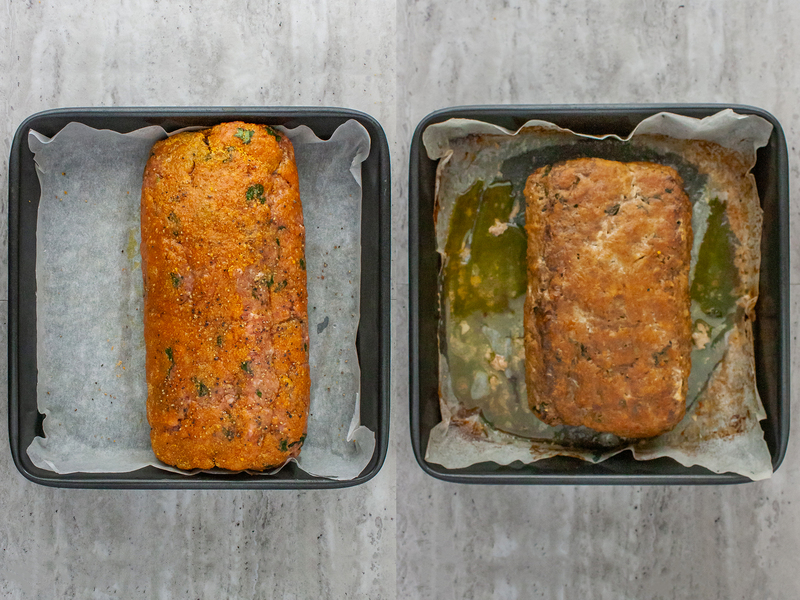 To bake your meatloaf, choose a large baking tray instead of a small loaf tin to get a crisp and caramelised crust rather than a steamed and soggy loaf. Cook in the middle shelf of the oven for 40 minutes. Check that the loaf is done by piercing it with a skewer: if the liquid that comes out of it is a transparent juice, the meat is ready. Allow the meatloaf resting for at least 10 minutes before slicing so that it sets up nicely and you&apos;ll cut the slices more easily. Enjoy your Italian stuffed meatloaf with a side salad and roasted potatoes . This stuffed meatloaf recipe provides a high protein meal but also a higher amount of fats. In fact, the classic recipe calls for beef mince, but If you want to prepare a lighter version of this dish, use turkey mince which is lower in saturated fats.